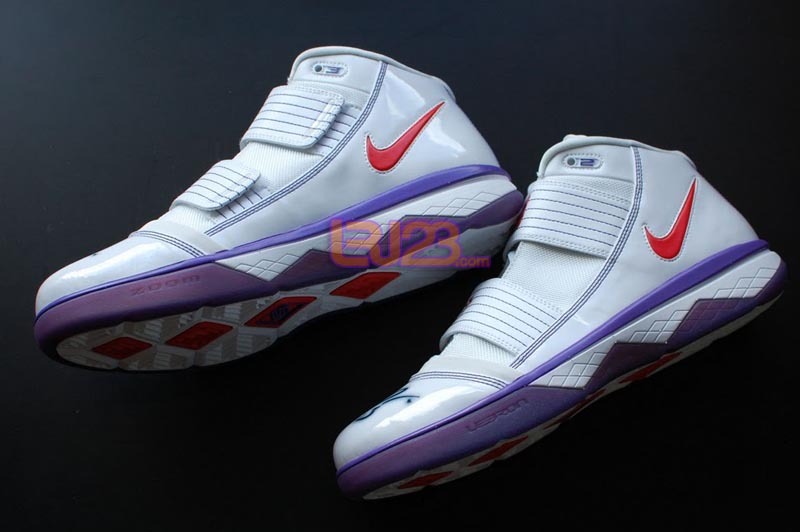 Diana rocked these for the 2009 WNBA All-Star Game. 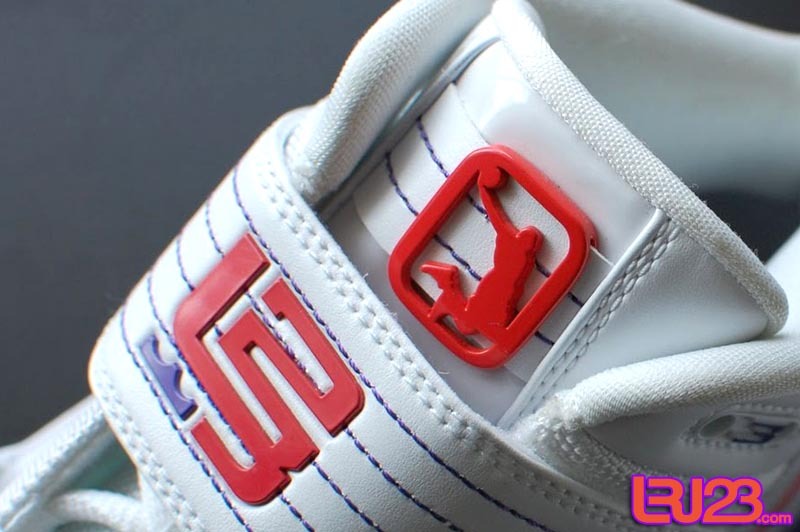 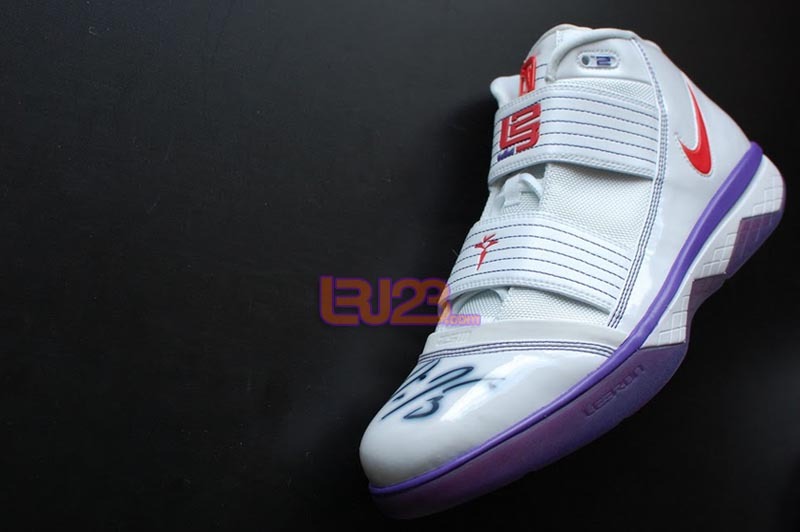 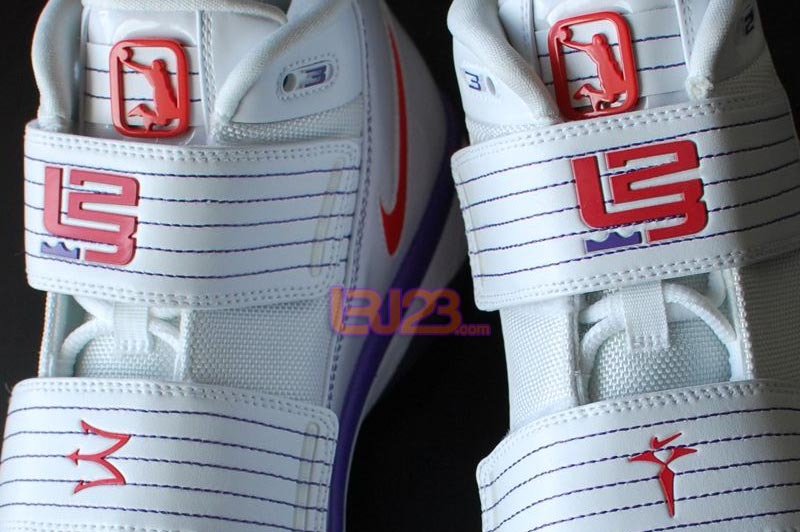 After taking a look at her Air Max LeBron VII PE collection yesterday, another Diana Taurasi LeBron exclusive has surfaced today. 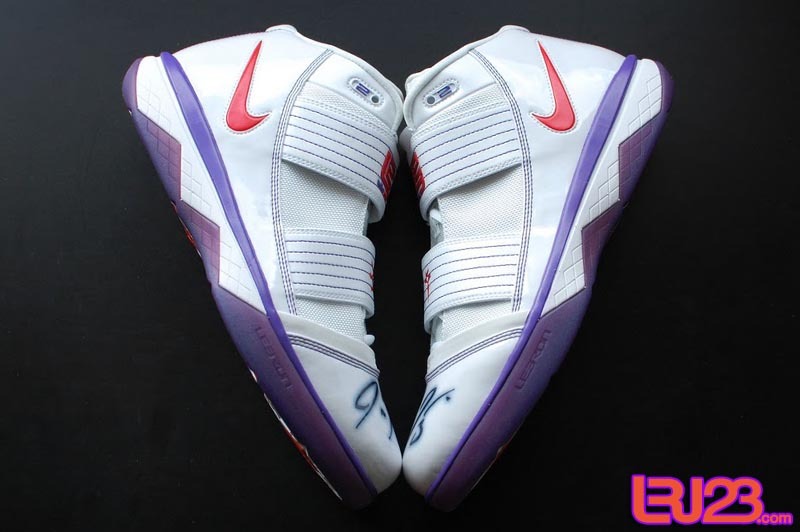 Seen here are images of her Zoom Solider III custom, which she wore in the 2009 WNBA All-Star Game. 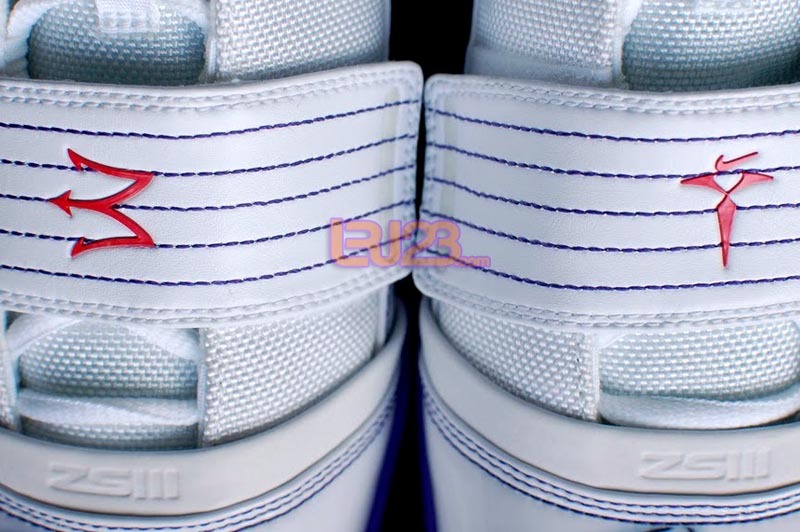 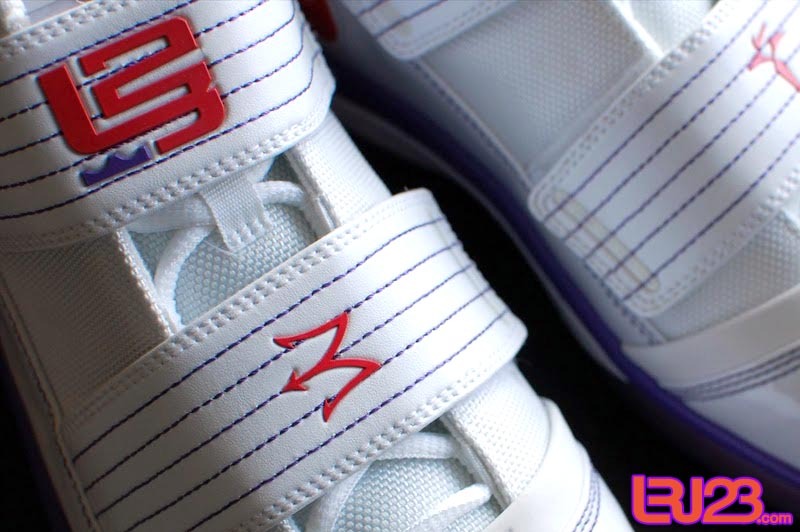 The shoe is white patent leather and mesh based with purple contrast stitching throughout. 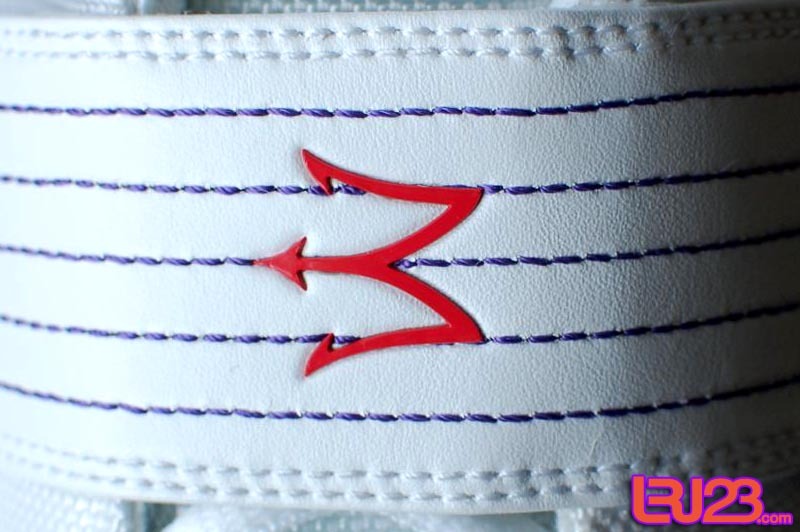 An infrared shade is used for branding and logos on the tongue, cross-straps and heel. 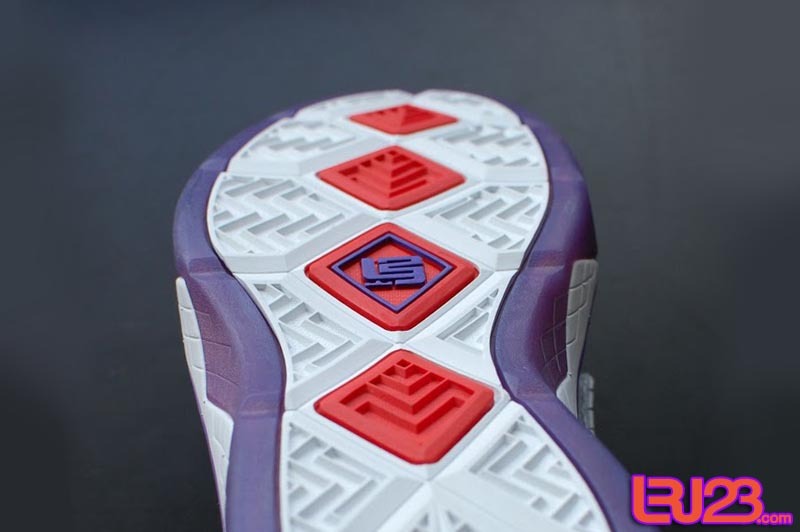 The jagged midsole and stripe are both done in purple, while the outsole features a mix of all the involved colors. 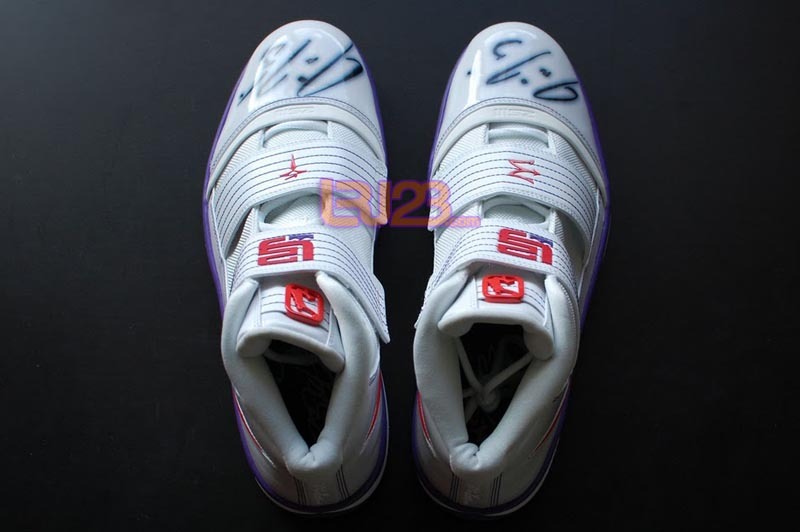 This pair also happens to be dual-autographed.